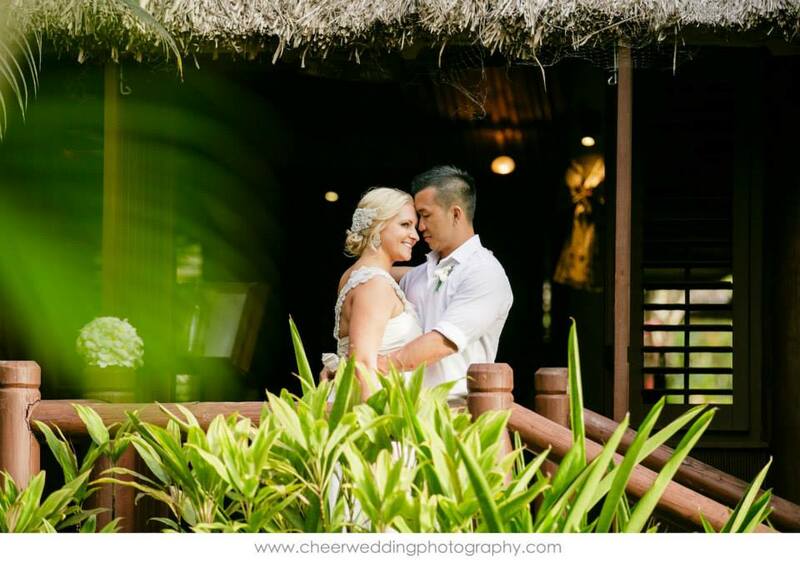 Aimee and Sung wanted a small and intimate wedding set in a beautiful location and what better place for that than Fiji. 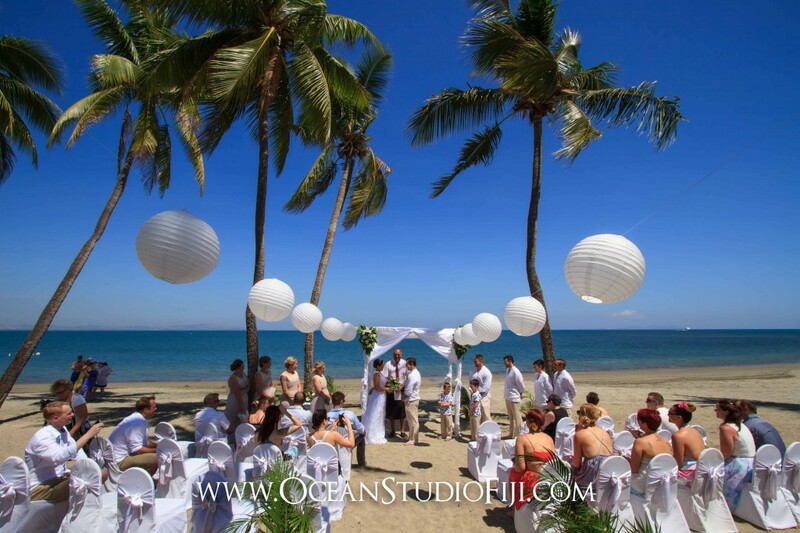 With no experience in Fiji weddings and not knowing where to start, they came straight to us and we were excited to help them plan their special day. 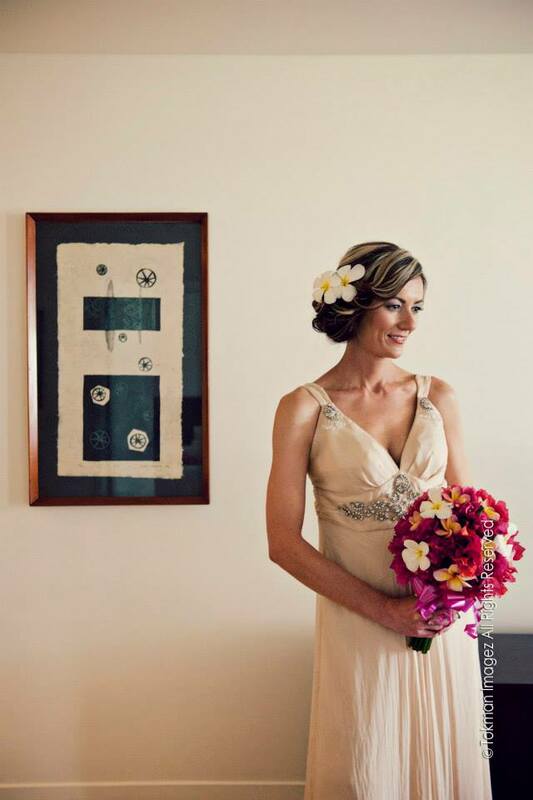 We asked Aimee if she would recommend hiring a wedding planner and she said ‘I highly recommend to any bride getting married in Fiji to hire a wedding planner. I couldn’t have come close to organising anything like this without her’. 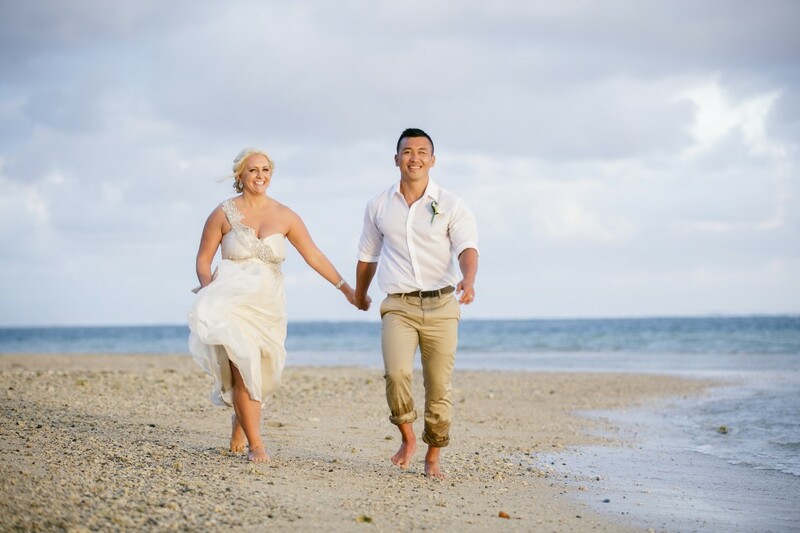 The Outrigger on the Lagoon on the stunning Coral Coast was the perfect location for their wedding. 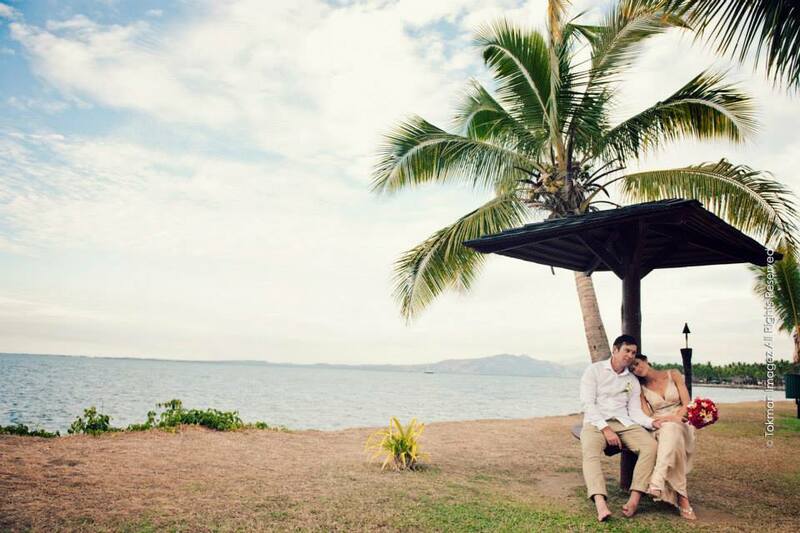 They wanted a beautiful location and that’s exactly what they got! 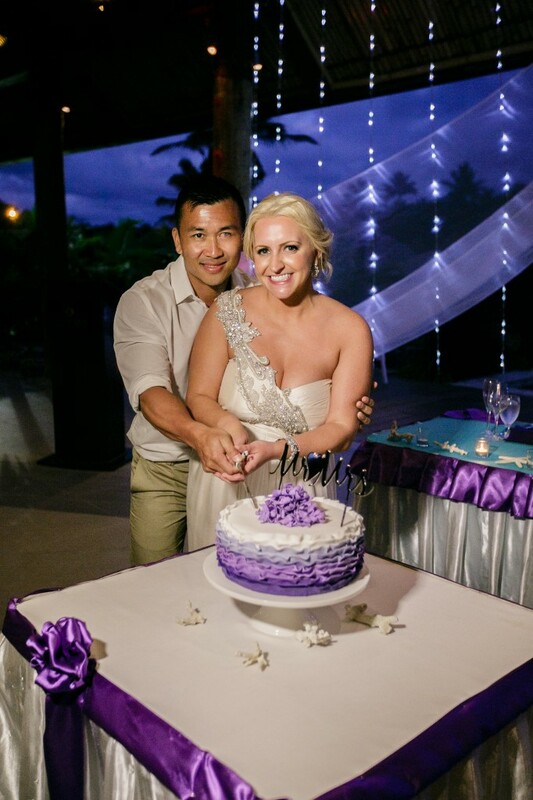 Aimee and Sung and their guests enjoyed everything the resort could offer during the 5 day celebration including relaxing treatments at the day spa, the magnificent tropical pool and the many restaurants. They even went ziplining through the lush Fijian forest! 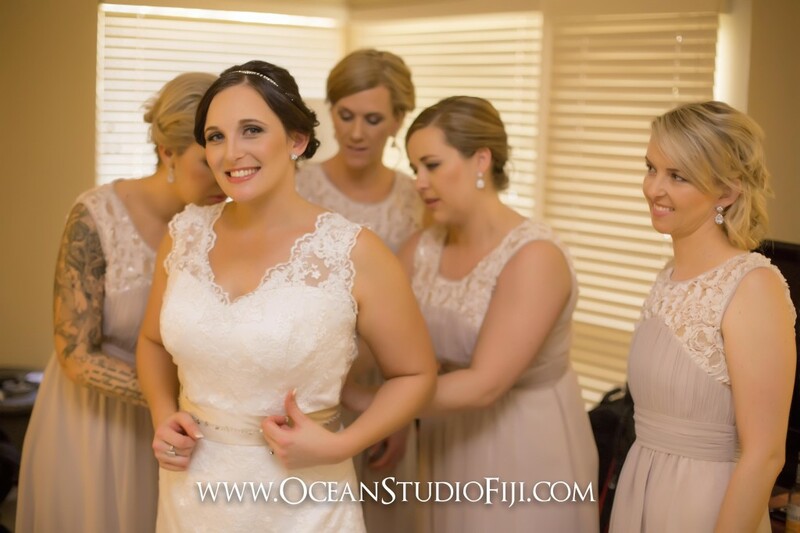 When their big day arrived Aimee looked beautiful and was glowing in her Anna Campbell wedding gown. 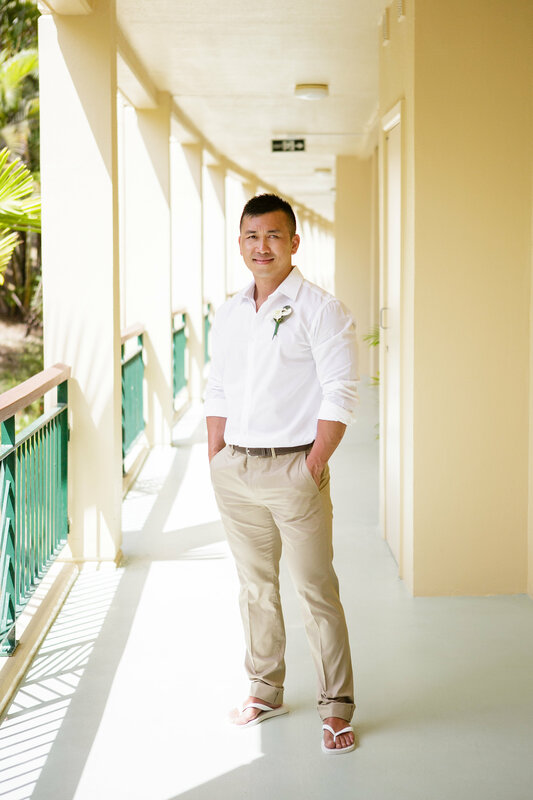 Sung wore a white shirt and tan pants teamed with thongs to suit the island setting. 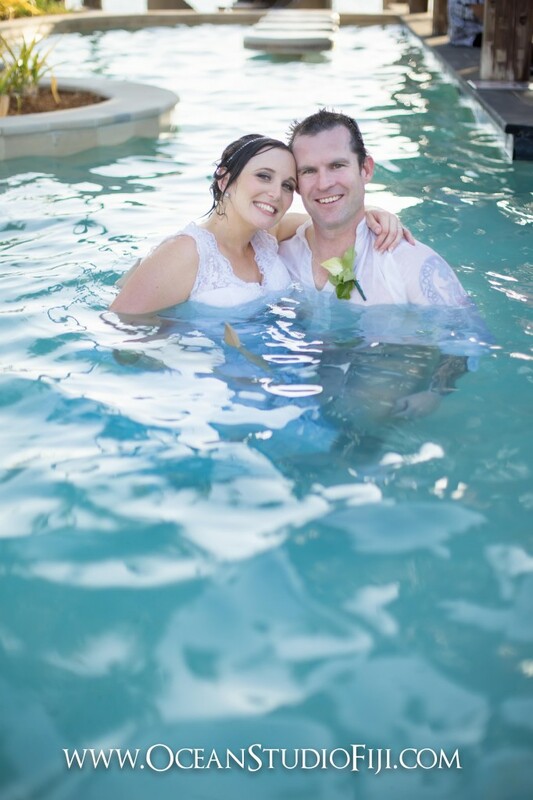 The ceremony was held by the water under a flowing white canopy. 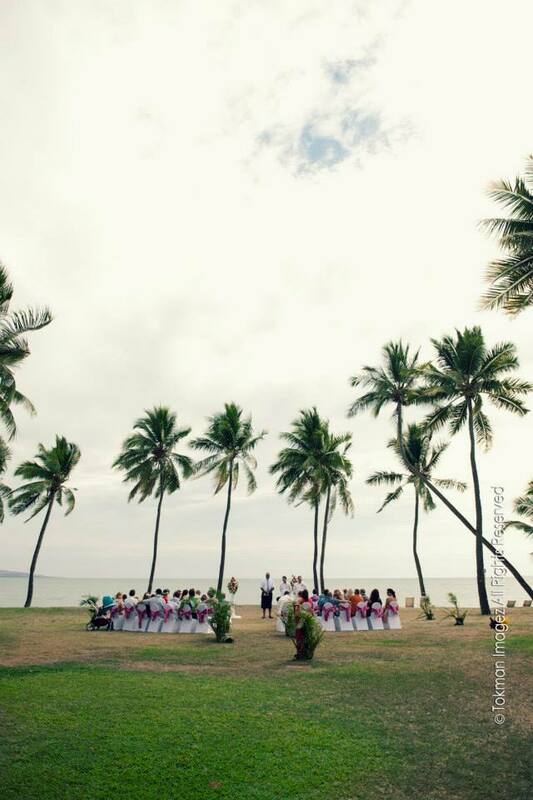 What a dream location to say your vows! 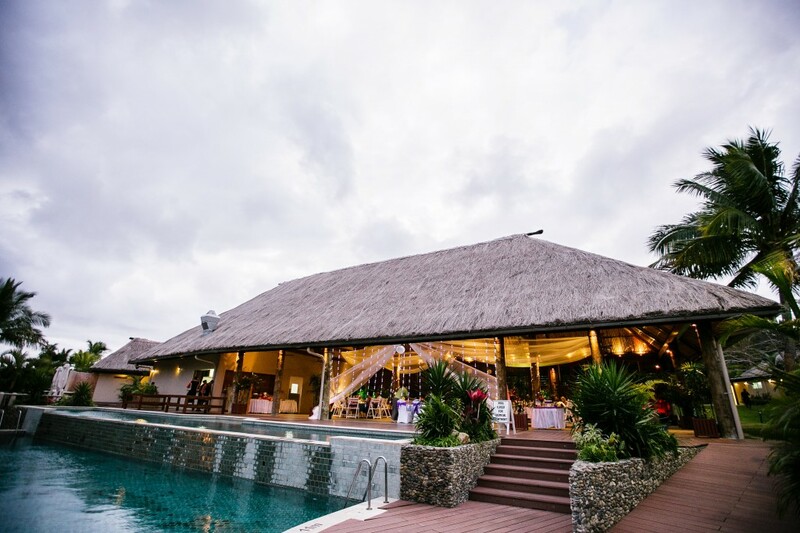 The reception was in the Vahavu Lounge overlooking the pool. Aimee and Sung said that one of the highlights of the day was the entertainment. They chose to have Polynesian entertainers and a fire show. 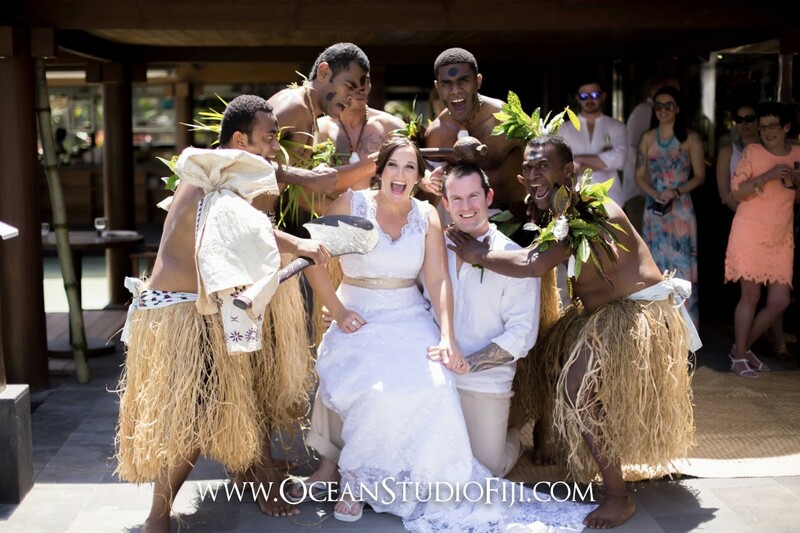 They were also very impressed with the Fijian suppliers who helped make their dream day come alive. 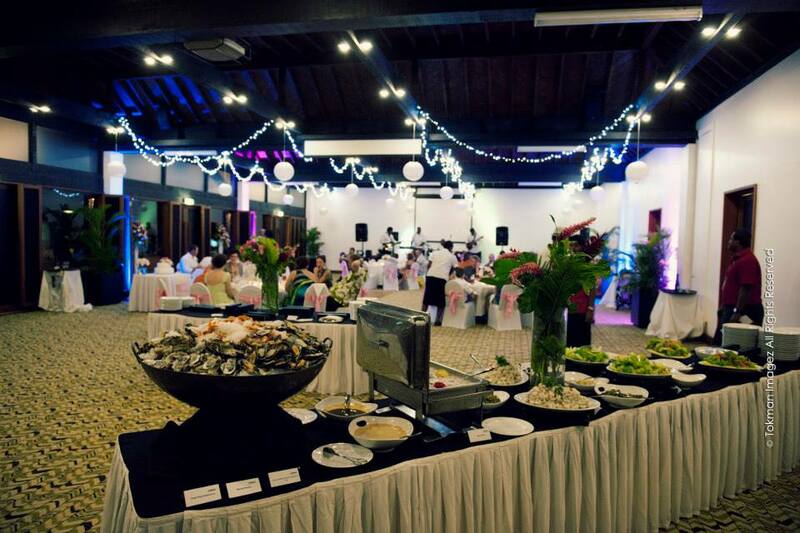 They said that everyone was very professional and efficient and that everything looked just beautiful. 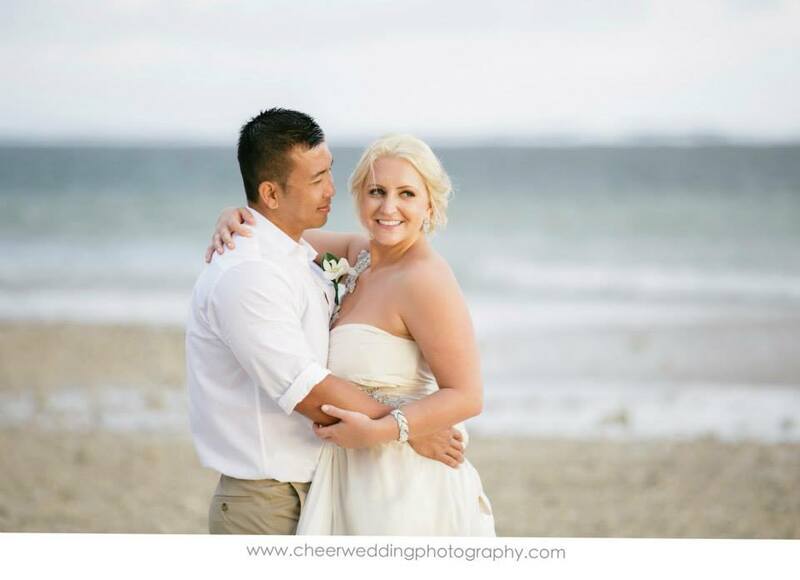 For their honeymoon, Aimee and Sung stayed at Matamonoa Island. She said ‘Our honeymoon was brilliant and a great wind down after the big day and hosting 35 people for 5 days previous’. 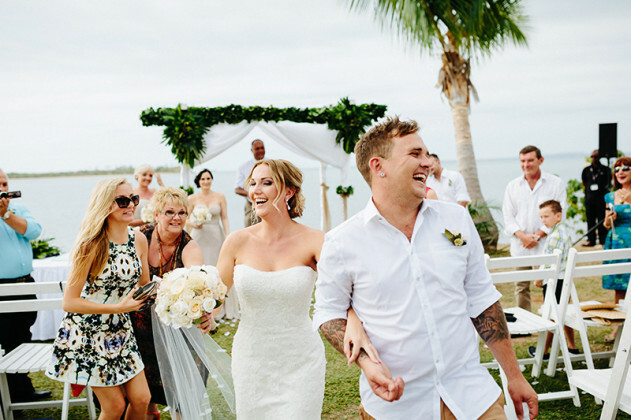 We received the loveliest email from Aimee after their wedding which said ‘Our wedding was a day I will remember forever. It was everything that we had dreamed of. It was relaxing, stress-free, so enjoyable and myself & Sung, aswell as our guests had an amazing time. 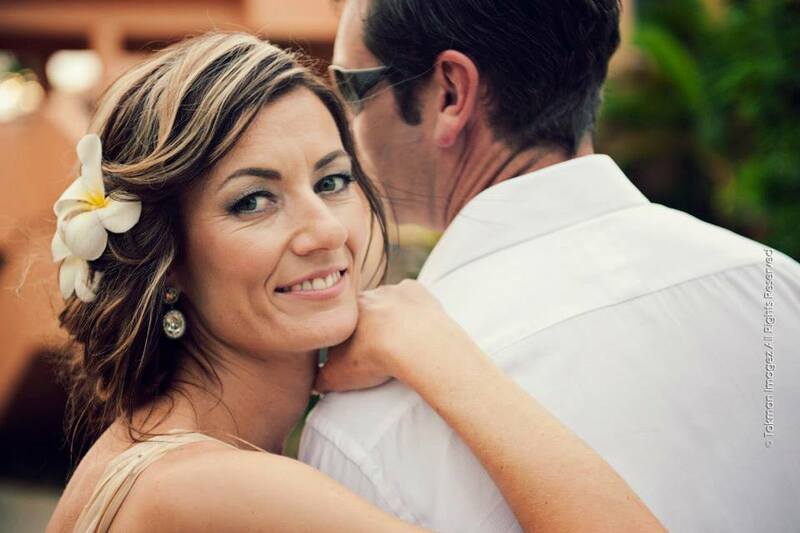 All of our guests say its the best wedding they have ever been too. 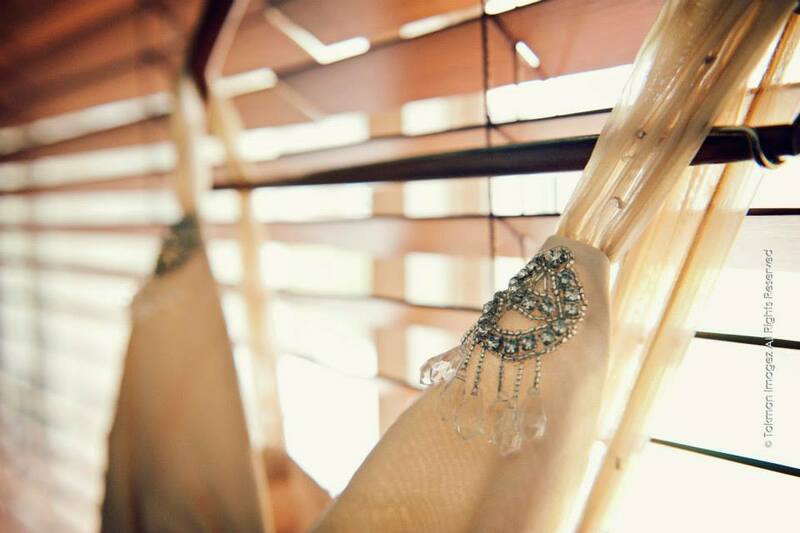 Thank you for your services, I couldn’t have planned anywhere like the beautiful wedding day that we experienced! 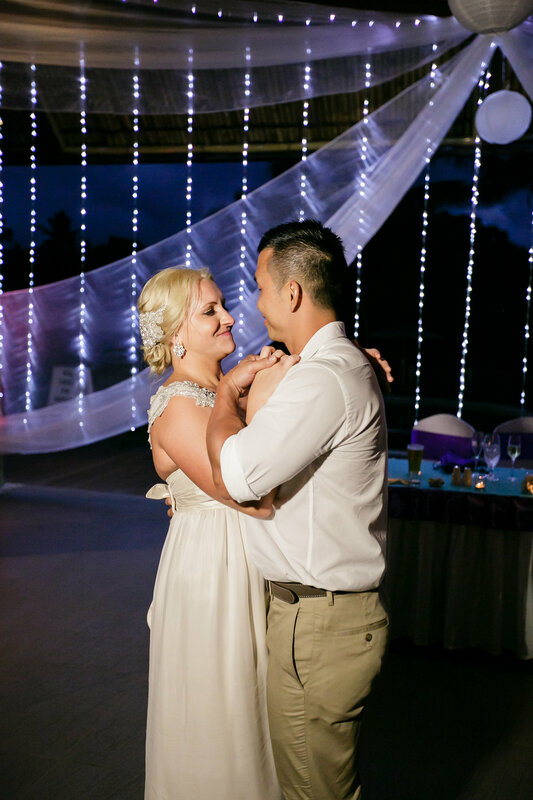 But the excitement doesn’t end here for this happy couple because aswell as getting their dream wedding, they also came home with a little something else….a baby! Congratulations to the newlyweds, what an exciting time it is for you both! 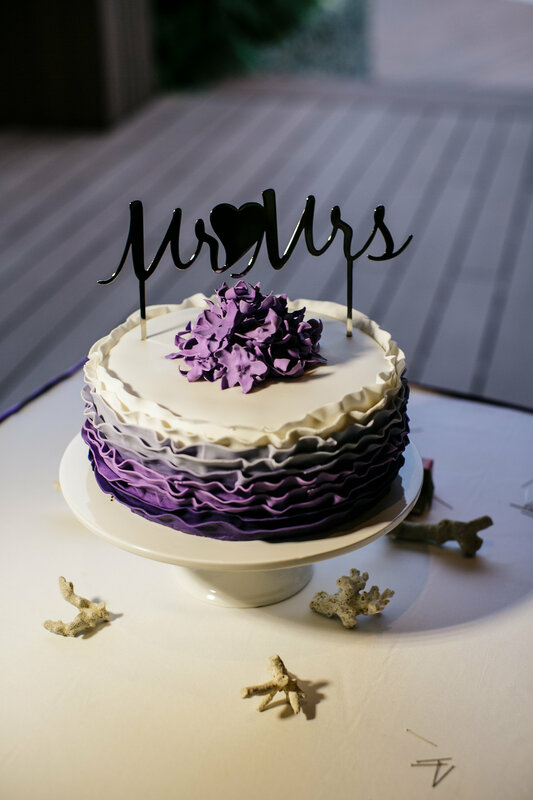 Thank you to Cheer Wedding Photography for the fantastic photos. 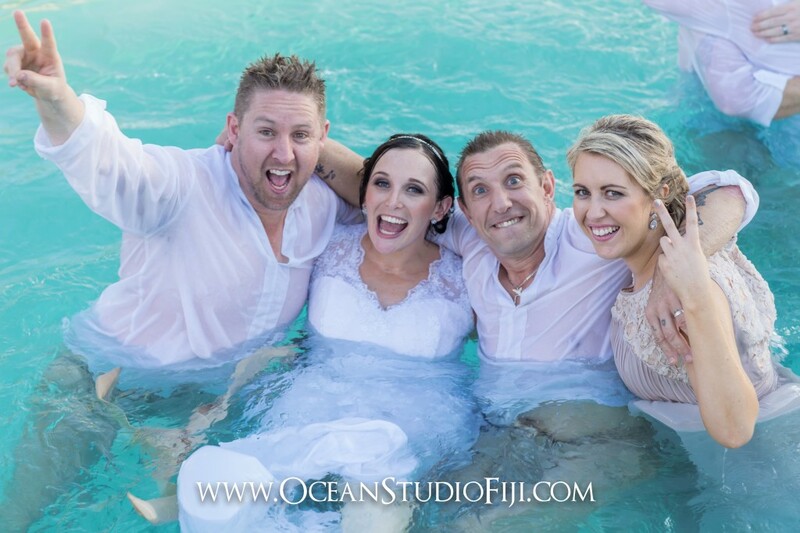 Jessica and Brad wanted a small and intimate wedding and decided that Fiji would be the perfect location to celebrate the occasion with their family and friends. 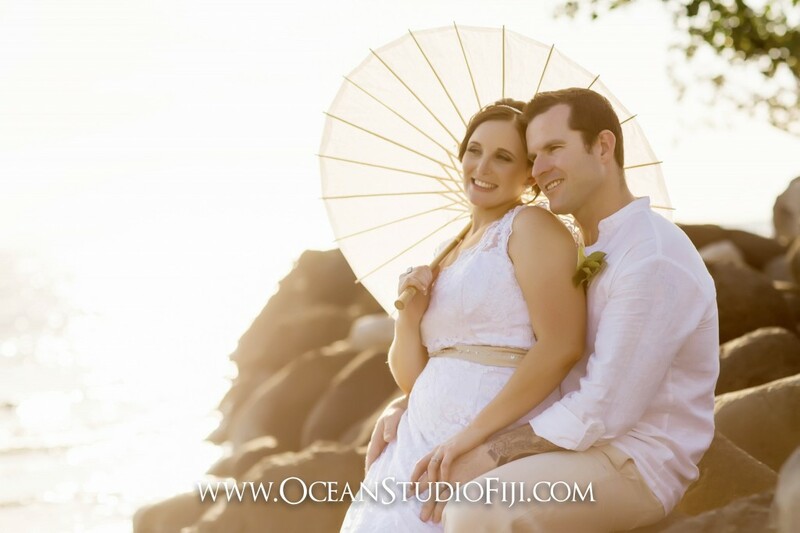 I was excited to help them plan their wedding and travelled to Fiji to make sure everything ran smoothly on the day. 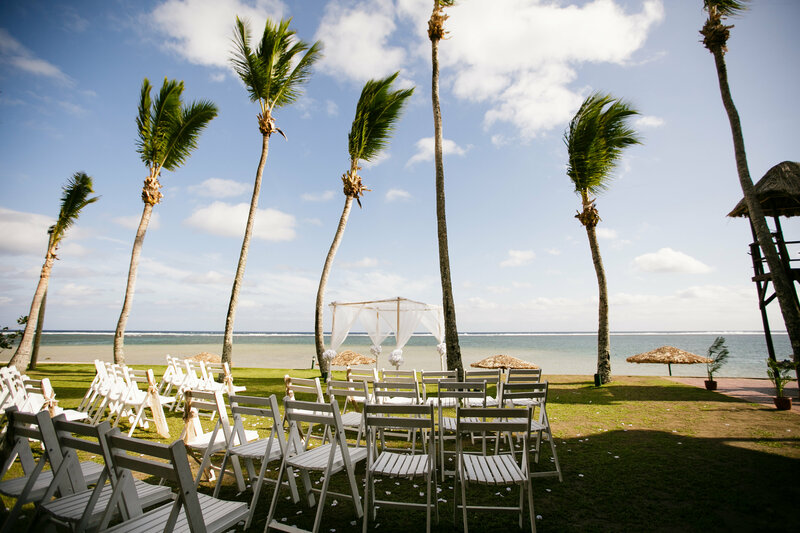 The Sheraton Fiji provided a picture perfect backdrop for their special day and the days leading up to the wedding. 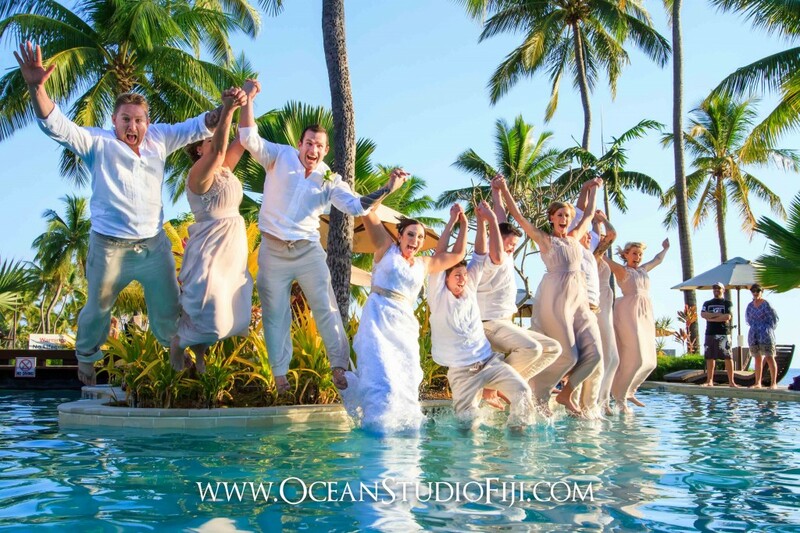 Jessica, Brad and their guests enjoyed all that the Sheraton had to offer including island day trips, a trip to Cloud 9, dive courses and a lot relaxing by the pool. 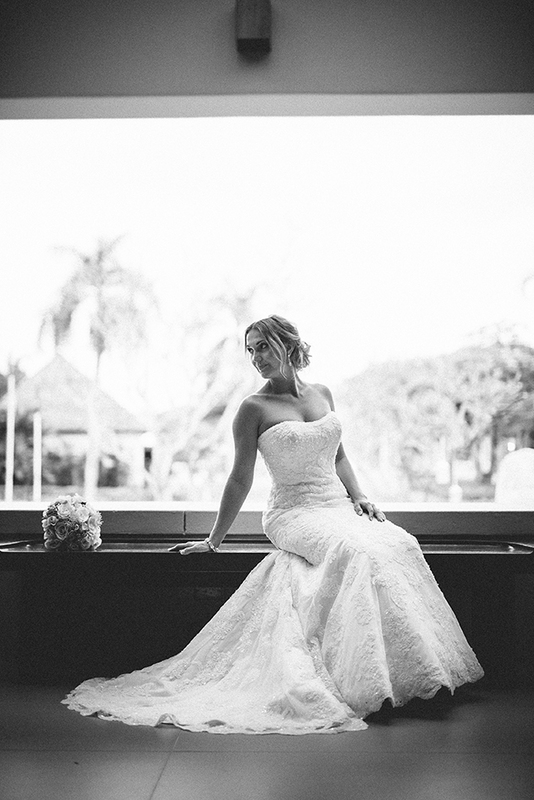 Jessica looked beautiful on her wedding day in a stunning white lace fish tail gown. The bridesmaids wore gorgeous flowing maxi dresses. 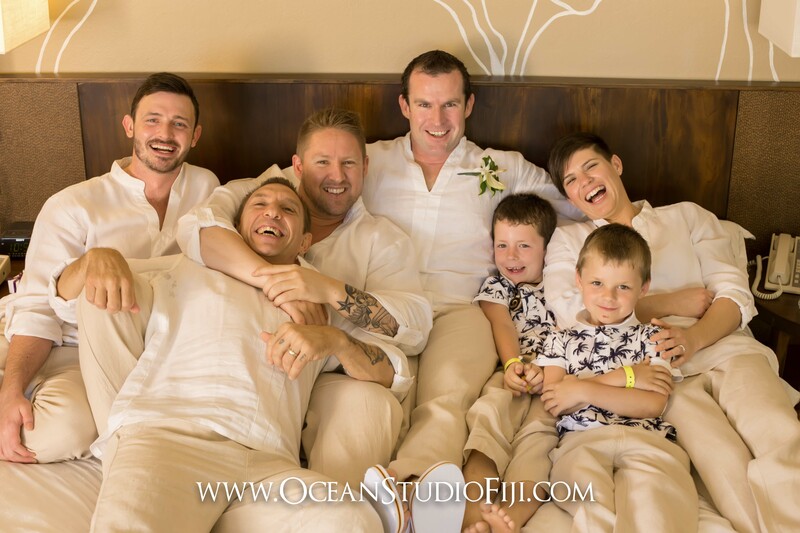 Brad and his groomsmen went for a casual island look in their white shirts and rolled up brown 3/4 pants. Jessica and Brad were married under a canopy of white tulle and greenery by the water’s edge. 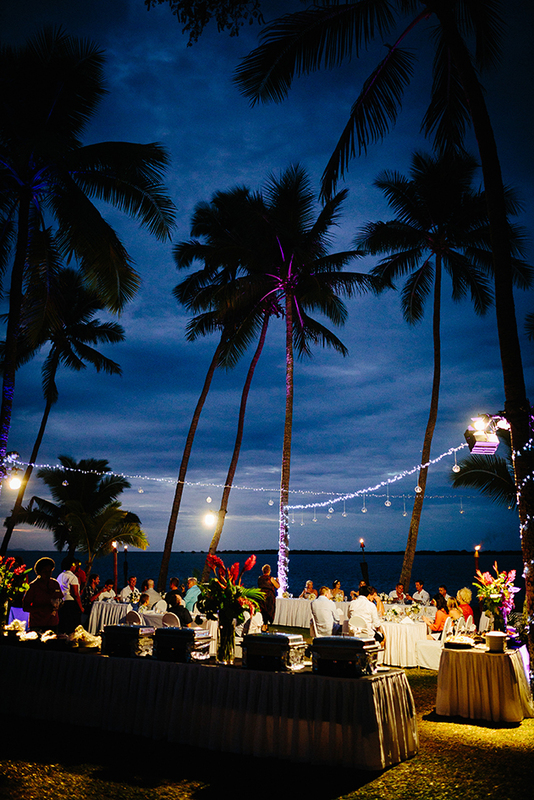 The reception was outdoors under palm trees strung with twinkling fairy lights. It looked magical! 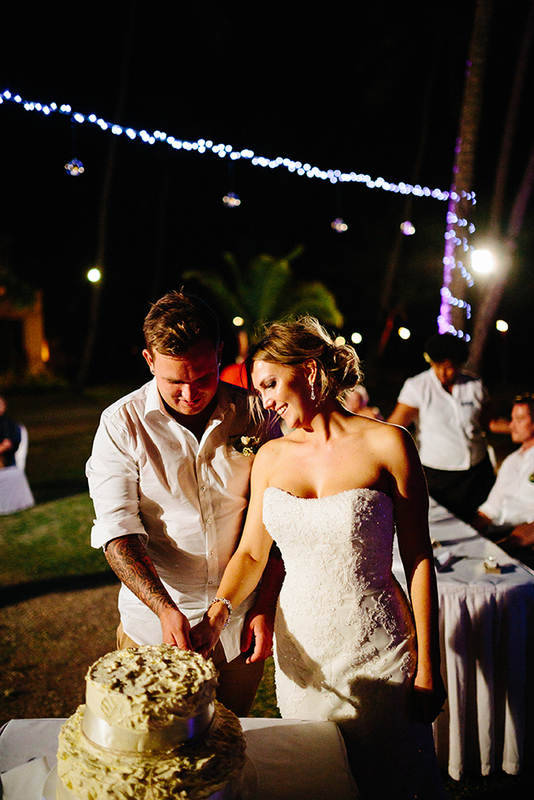 Jessica and Brad thought the suppliers who helped them make their day perfect were excellent. They were particularly impressed with the buffet style dinner served at the wedding which was one of the highlights of the day for them. 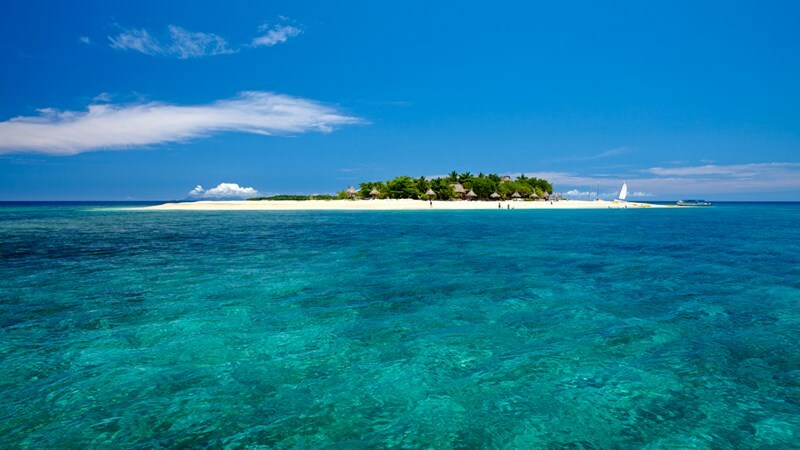 Jessica and Brad spent their honeymoon on lush tropical Toberua Island which is located off the eastern side of Fiji’s main island Viti Levu. 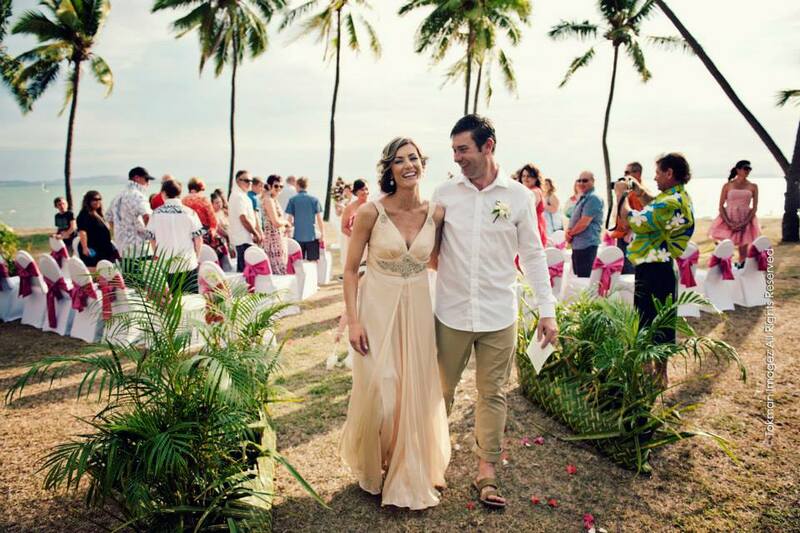 We asked Jessica and Brad to give some advice to couples planning a wedding in Fiji and they said ‘Be patient. Everything will come together and trust your planner. 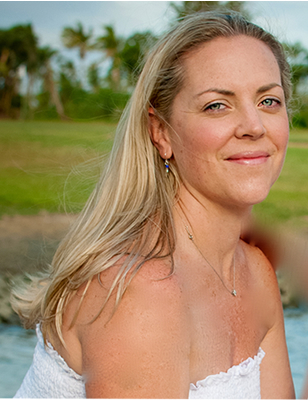 Chelsea has excellent experience with Fiji weddings. 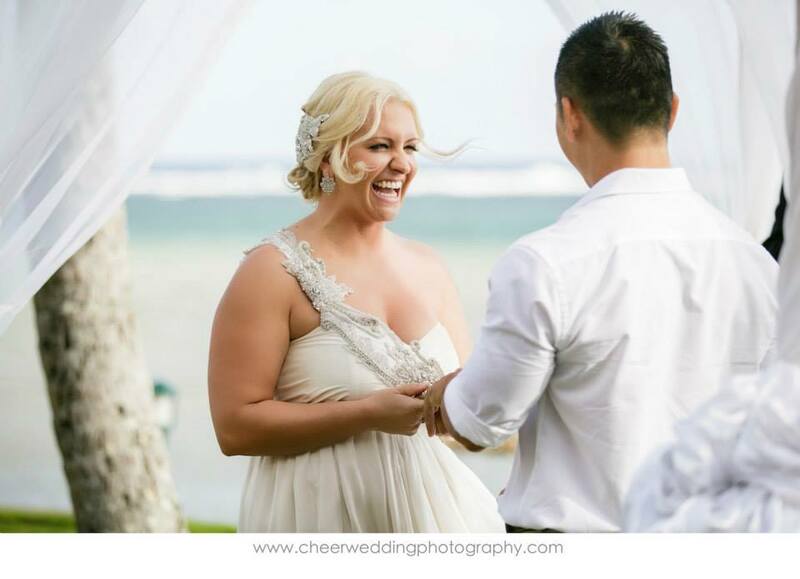 I look back on our day with pure happiness and no regrets. It was the best day of my life!’. 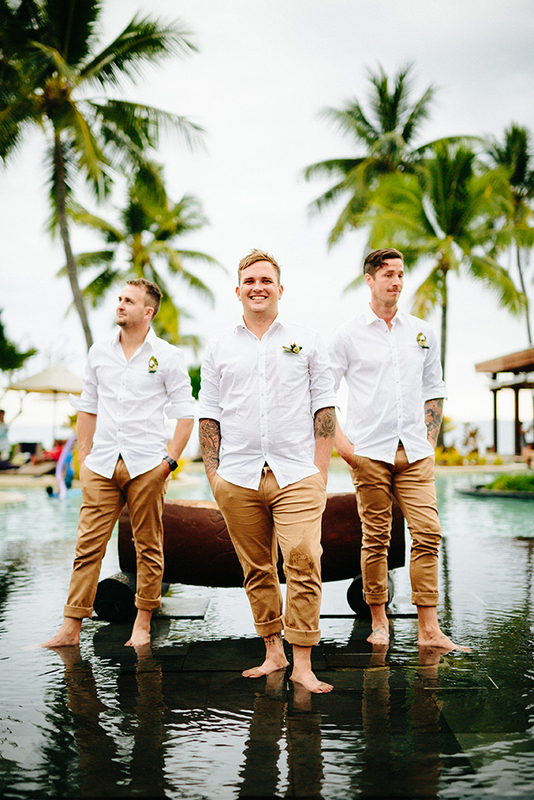 Thank you to Nadi Bay Photography Fiji for the gorgeous photos and we were also very excited to see Jessica and Brad’s wedding featured recently on the Bula Bride blog. 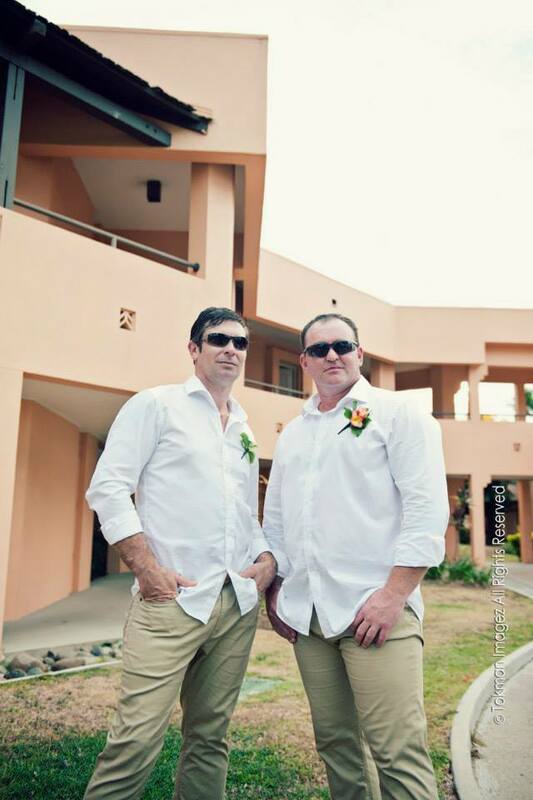 Working worth Dearne & Dean was an absolute pleasure we were also lucky enough to be in Fiji to help them out on the day. 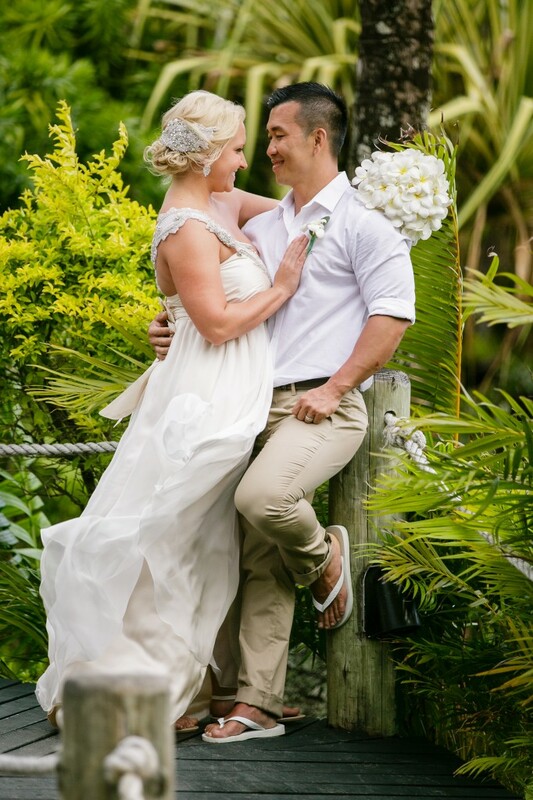 You could feel the love they had for each other and their great family and friends who had not only travelled to Fiji for the big day but also travelled 6 hours to Sydney to then fly out. 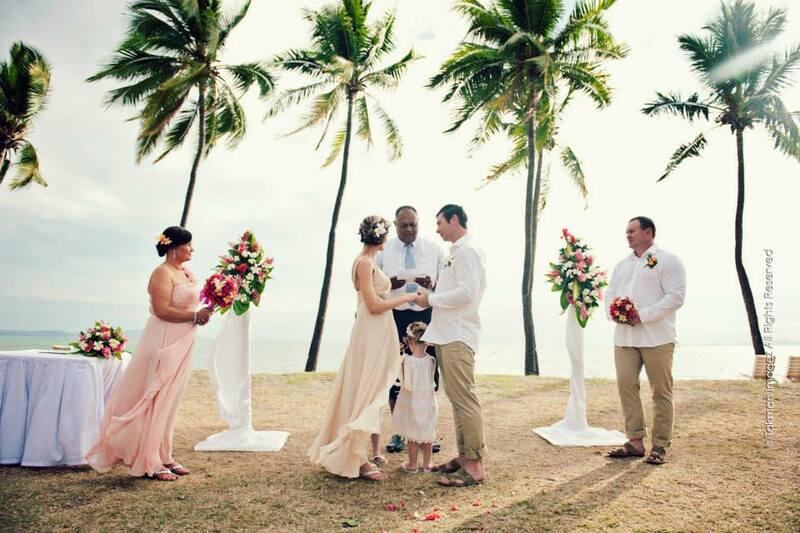 This was a great country wedding in the tropics of Fiji. 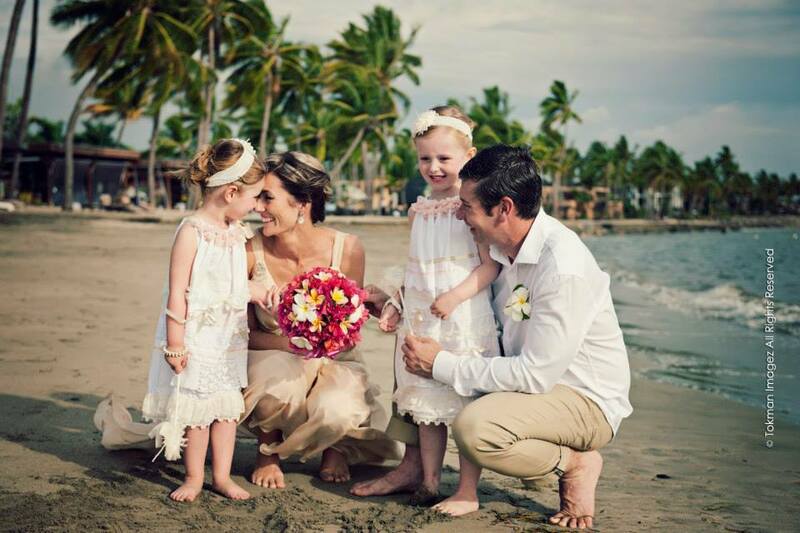 Dearne & Dean decide to have their wedding in Fiji as they thought it would be a good way to have the wedding and honeymoon all in the one place, and as they have two young girls Fiji was the prefect place. They decided they needed to engage the services of a wedding planner as they did not know where to start as the process seemed overwhelming. 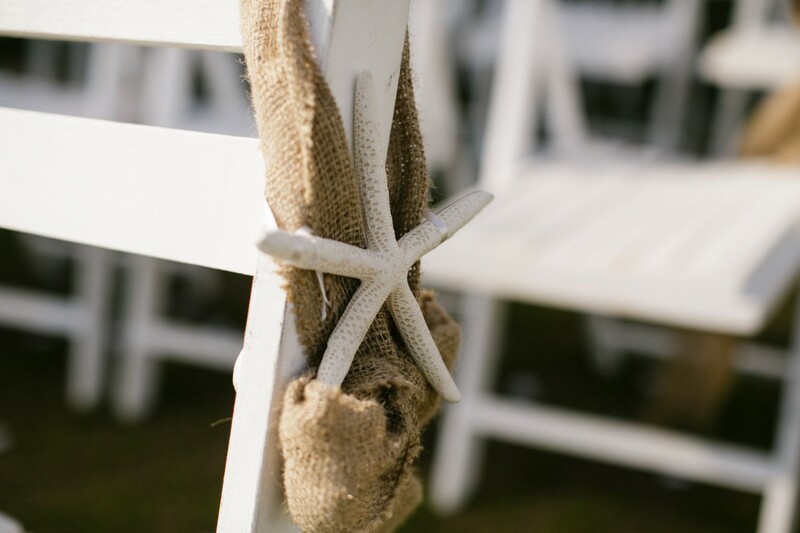 There ceremony was held on the Sheraton Beachfront we kept it very simple with pink chair ties. 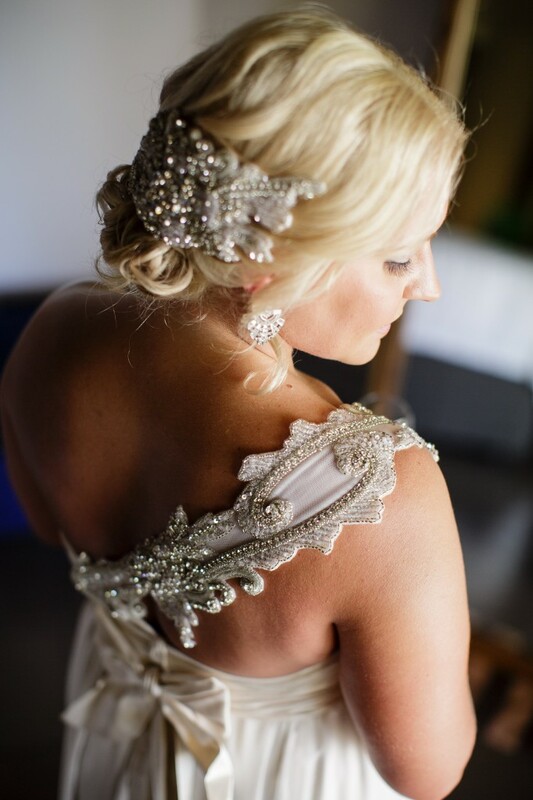 Dearne wore a Gerry Shaw champagne wedding dress. The bridesmaid wore a dusty pink dress and the flower girls wore white linen dresses with pink embellishments on them. The boys wore a white shirt and khaki cotton pants. As the weather was not on our side we had to move their reception location to the Westin Ballroom. 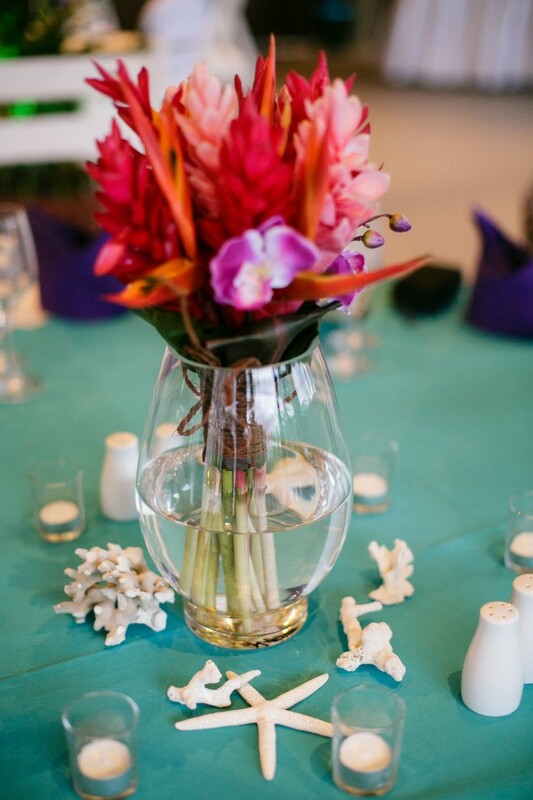 Everyone at the Sheraton and from Grace Creations pulled together to set the room up and it looked amazing. 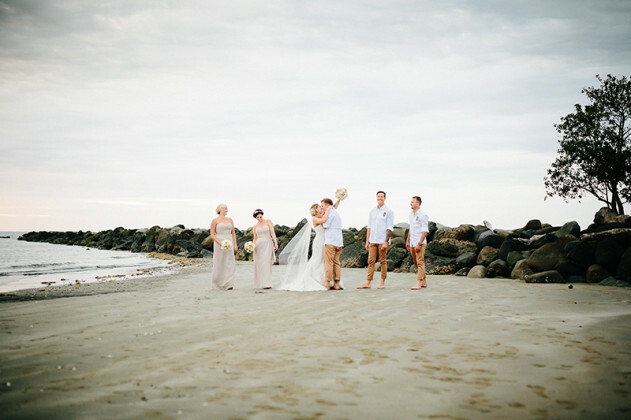 What they loved most about the wedding was the atmosphere, setting and weather and catching up with all there friends. We wish them and their family all the happiness in their future life together. A big thank you to Tokman Imagez for the beautiful photos. 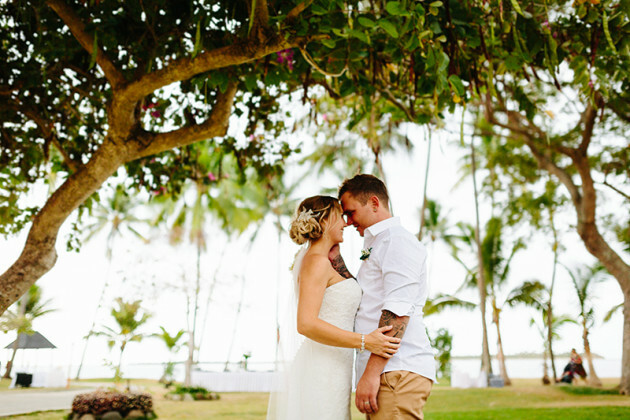 Corinne & Mark we married at the beautiful Sheraton Fiji in September last year. They and an 11.30am ceremony followed by a lunch time reception in the Flying Fish Restaurant. Their brief to us was they wanted a pool party which was something we had not done before but I think we met the brief very well. 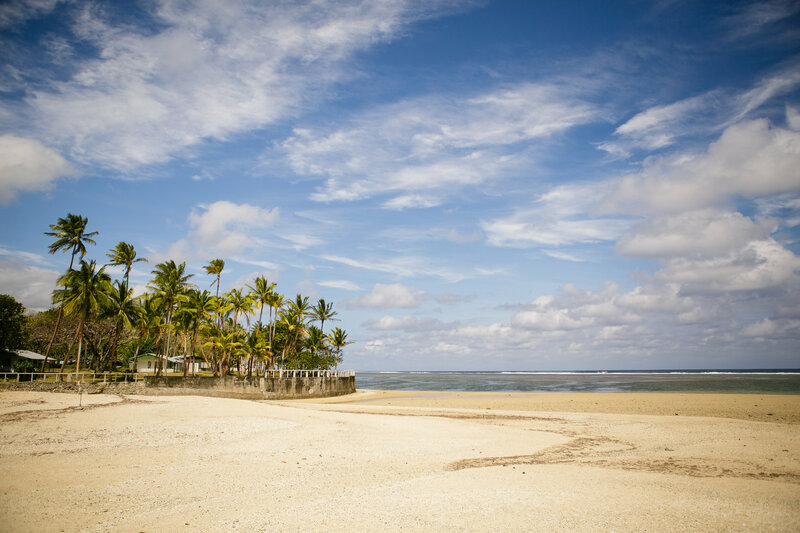 Corinne and Mark chose Fiji for their wedding location as they wanted a beautiful beach wedding and thought Fiji was very affordable and an absolutely gorgeous country. 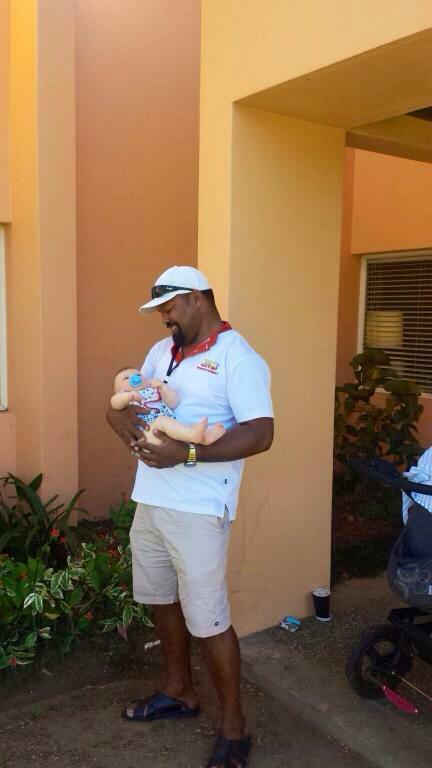 They also have 3 children and knew Fiji was very family friendly place. 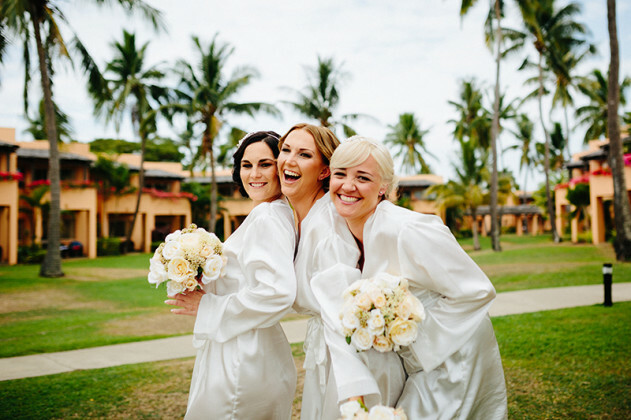 They chose a wedding planner to ease the burden for themselves and make the experience as enjoyable and easy a possible. The groom and groomsmen wore natural coloured linen pants and white linen shirts, also bought online. 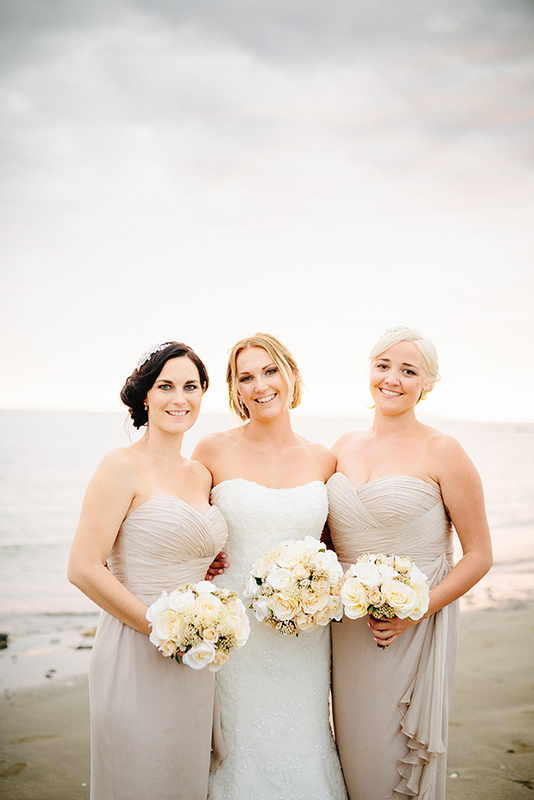 The bridesmaids wore full-length beige coloured dresses with rose detail on the chest. 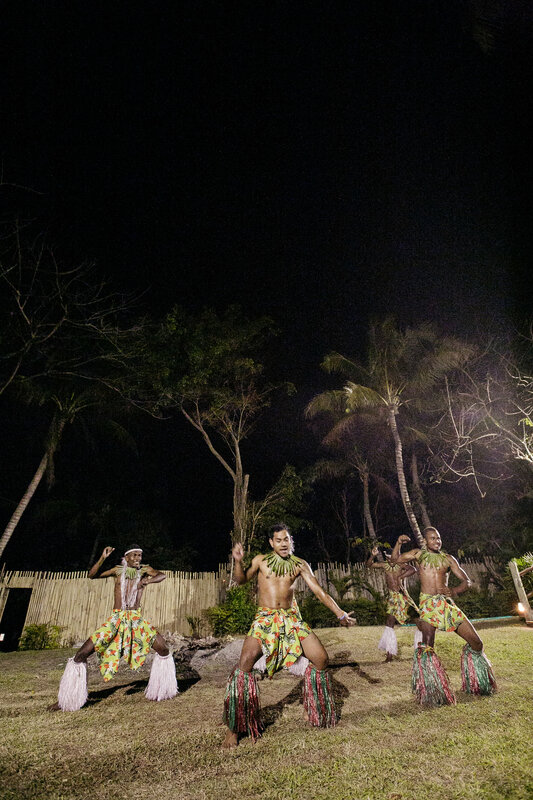 They said the main highlights of the day was definitely the Kava Ceremony and jumping into the pool fully clothed. 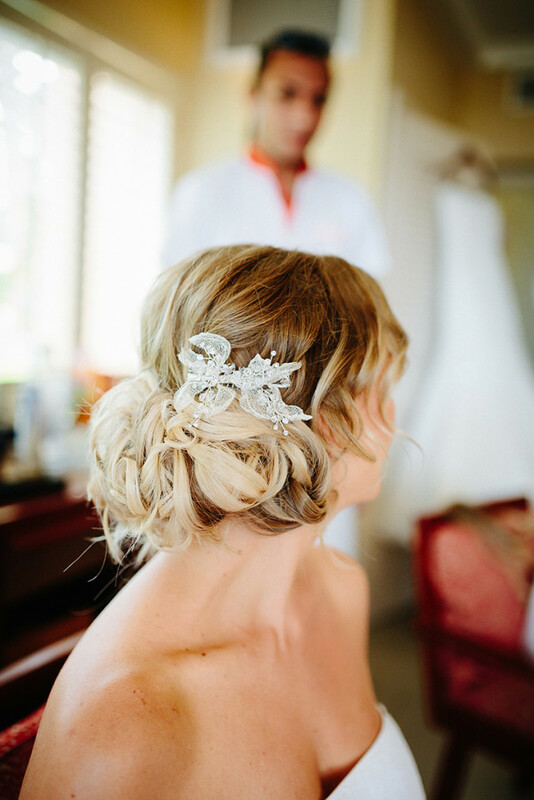 Hair and Makeup Perfections went above and beyond, this is our favourite photo. Prior to the wedding some of the wedding guests went Zip lining and to the Mud baths and had a great time. The day after the wedding we organised a half-day South Sea cruise with their guests which they said was very relaxing and enjoyable! They went snorkelling, paddle boarding, kayaking and relaxed with massages and highly recommend it. 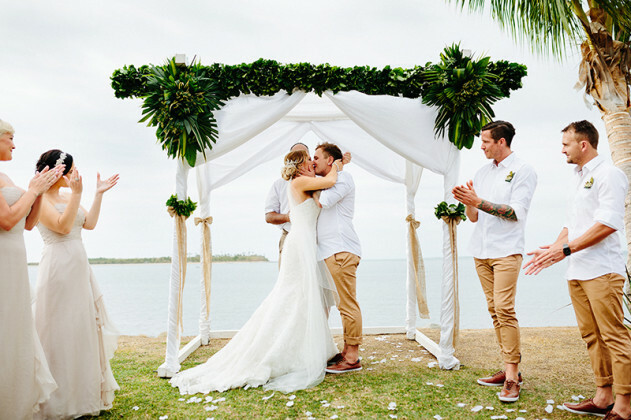 “We had the best day of our lives! Corinne. 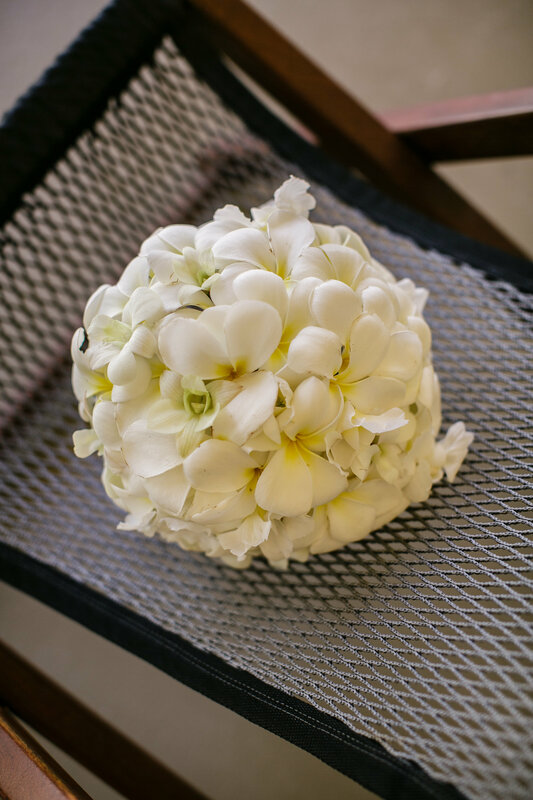 A big thank you to Sam from Ocean Studios for these great images.